Here comes the updated version of UD Goblin mini atomizer-- UD Goblin Mini V2 RTA atomizer! It maintains the same 3ml capacity, but much more improvements compared to the “older” one. Tada! 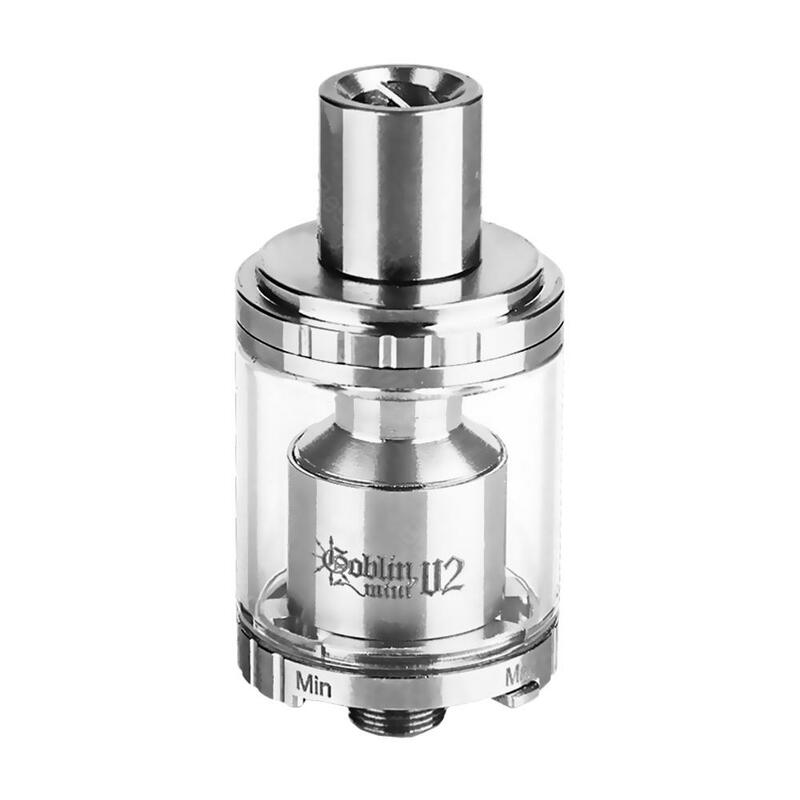 Here comes the updated version of UD Goblin mini atomizer-- UD Goblin Mini V2 RTA atomizer! It maintains the same 3ml capacity, but much more improvements compared to the “older” one. For example, Goblin Mini V2 comes with bigger build deck, so it will be more convenient for you to build coils. Furthermore, it comes with ceramic single coil adapter, so you can build sing coil or dual coil as you wish. And, thanks to the double pendulum air ring, you can enjoy the pure flavor of the juice and the huge cloud at the same time. UD Goblin Mini V2 RTA, combine the exquisite and compact appearance with excellent quality, it will be one of your best vaping gear. Rebuildable Tank, not for beginners. Это полезный продукт. Качество и вкус великолепны. С моей мятой ароматизированная жидкость - просто удовольствие.5 звезд. Очень хороший распылитель. Дым мягкий, без жгучего запаха, 100% ощущают запах жидкого дыма. Мне это и вправду нравится. мой MOD очень подходит.в следующий раз я буду тоже покупать здесь. My first RTA, still practicing on my build. Nice little RTA with very cheap price. Purchase went on well, all things were there packed in the box. Buybest seems very comfortable to deal with. For the Goblin mini V2 rta, no complaints here. Works as it's supposed to. Mini V2 works well. no hassle in building, good airflow, juice flow control. Flavor is pretty good.